TI's optimized solution for power regulation, distribution, and sequencing for Intel SkyLake™ Processor platform. 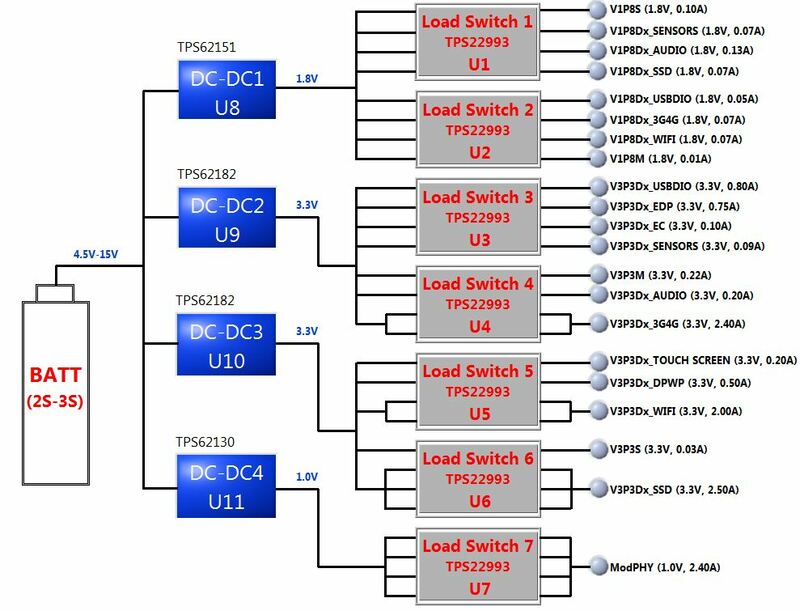 Utilizing high efficiency DC/DC switching regulators and integrated load switches, this design demonstrates regulation of four unique power rails and distribution of 21 different points-of-load. Significant reduction in board area is accomplished with quad-channel load switches and high-efficiency, integrated DC/DC step-down converters. Furthermore, hybrid I2C/GPIO control reduces or eliminates GPIO requirements, thereby simplifying PCB layout. This design operates with an input voltage range of 4.5V to 15V, simulating 2S/3S Li-Ion battery topologies. A PC-based GUI controls on-board power components over a standard USB cable. 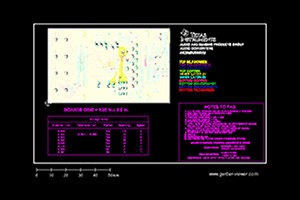 Real-time power delivery status feedback is provided via on-board LEDs as well as PC graphics. Size-optimized, real-world design based on Intel SkyLake™ processor platform targeting consumer and industrial computing markets (Ultrathin PC, Tablet PC, Desktop PC, Chromebook, Industrial PC, Computing Servers). Quad-channel load switches and high integration DC/DC converters reduce BOM count by 48%, resulting in lower manufacturing and inventory costs. At least 25% reduction in PCB footprint versus conventional implementations consisting of load switches and DC/DC converters. 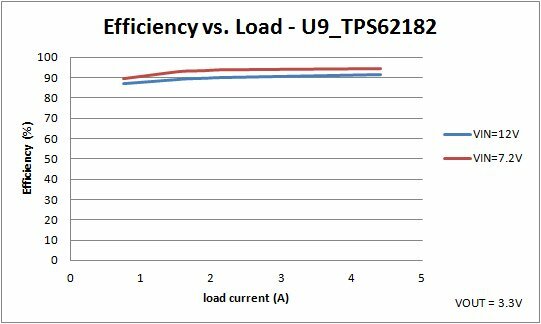 Additional space savings is realized when compared to discrete power switching implementations. Scalable, reduced dependency on GPIO reduces control signal count by as much as 90% to control 21 different points-of-load using I2C and/or GPIO hybrid control plane. 38% lower standby power and 49% lower operating power deliver increased battery life. Extended Input range DC/DC converters deliver high efficiency at 2/3 of the total solution size.